Gear: Update or Enhance first? !Scroll down for all available sets! 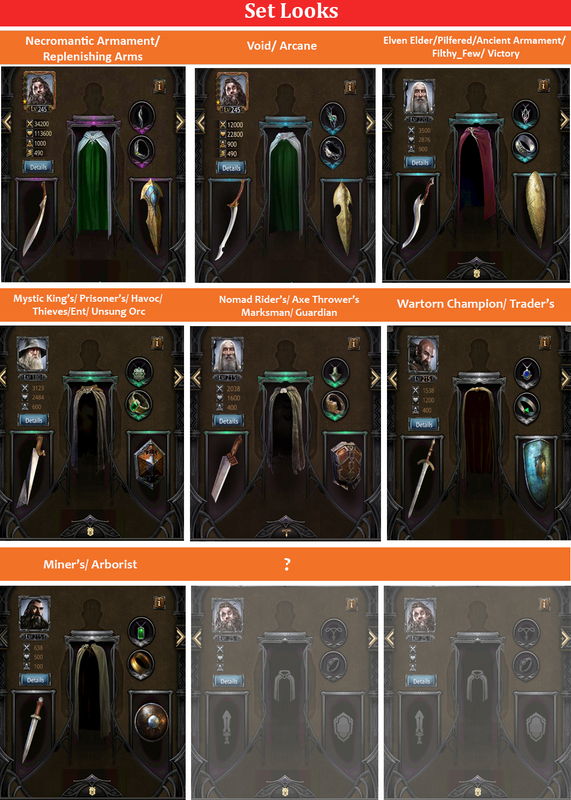 One of the most interesting updates to Kingdoms of Middle Earth recently has been the addition of Hero Equipment; Pieces of gear that heroes can equip that give them certain bonuses. But where do you find all the information about the gear? Where do you equip them on your heroes? Where can you see all the items’ bonuses and where are the icons explained? And where exactly do you find these items in the game to begin with? This article will provide answers to all this and more, giving you a complete overview on one of the better additions to this game in months. So basically, Hero equipment are items you either buy or find/craft in the game, which you can equip your heroes with to give them bonuses to for example attack and life of your troops. You can find the Hero equipment menu when you go to your Great Hall, press the Heroes tab, and then press the new “Equip” button displayed below the “+EXP” button for each hero. To Access this feature, your Forge needs to be level 2 minimum. 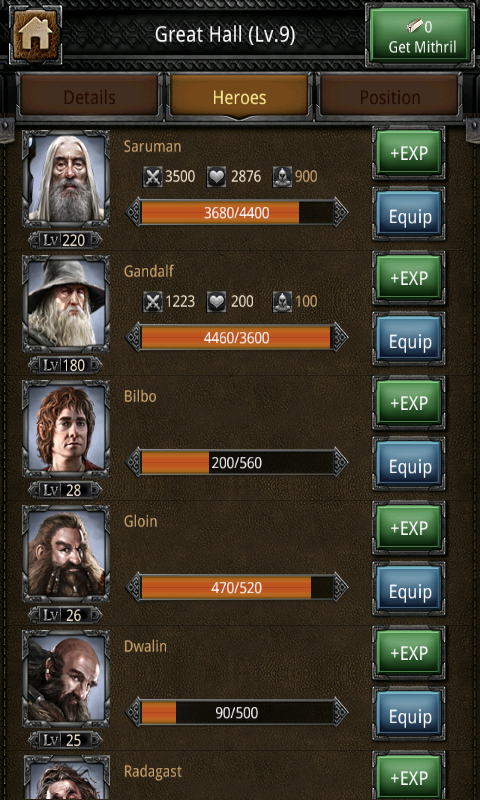 It is also in this screen you see for the first time a summary of the bonuses per Hero, given by all the equipment that Hero is currently wearing, like my Gandalf and Saruman to the right. Equipment slots, for a weapon, shield, cloak, ring and amulet. The Information screen, which shows all equipment and listed bonuses. The details button, which brings up the Details screen, showing bonuses for each troop type. An inventory item bar, which just shows all equipment you have by default. Items can have three basic attributes, and up to two bonus attributes, depending on their level. The basic attributes are +Attack (2 crossed swords), +Life (heart) and +Troop capacity. These attributes need to be divided by 100 to give the actual percent bonuses. The bonus attributes can further improve these stats but also offer some unique bonuses not found in the basic attributes. They are explained in 2.3 below. The information screen once again shows you all the equipment your Hero is wearing, but this time specifies all the individual bonuses per item as well. Also given at the top is a summary of the Attack, Life and Troop limit stats, Hero level and experience, and the button to apply Experience items such as Train with Gandalfs. 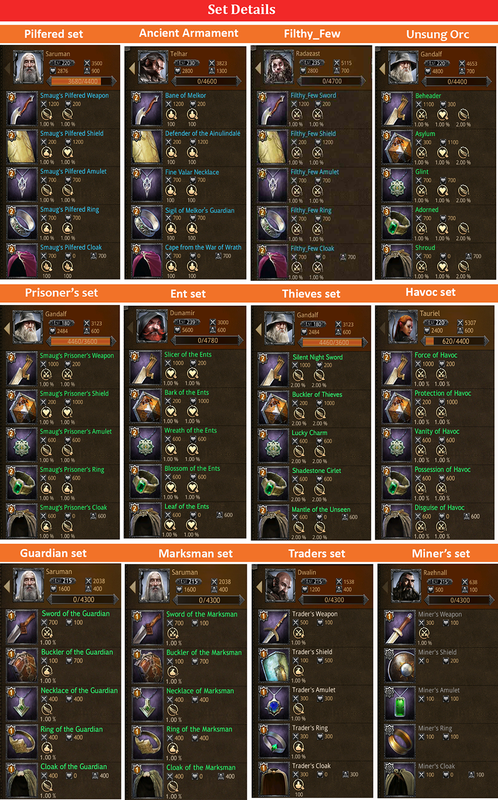 The equipment attributes screen doesn’t show anything related to your heroes or their gear, but instead gives you an overview of the possible bonus attributes each item can have. The main icon (gold) denotes the bonus type. Crossed swords for attack, heart for life, wings for speed, bag for load capacity, and two troops for troop limit. The small right bottom part of the icon (gold) denotes the troop types to which this bonus applies. Horse for mounted, bow for ranged, greave for foot, little bag for supply, or a T1-4 for all troop types of that tier. The silver bar below the icon specifies the Tiers to which the bonus applies, if not already given by the icon itself. As opposed to the standard attributes, the bonus attributes are already given in correct values, and need not be divided by 100. When you press the golden button above the item bar, the inventory select menu is brought up. Here you can narrow down which type of item is displayed in the item bar, by pressing one of the 6 icons in the menu. 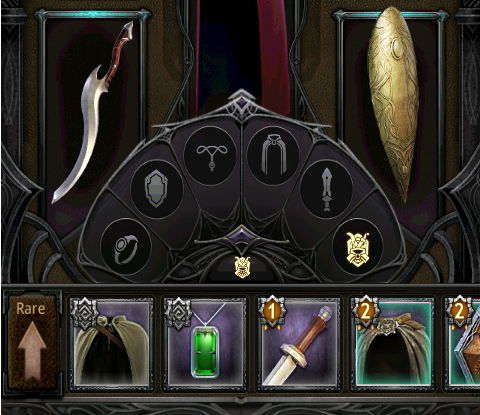 From left to right, the item types are: Rings, shields, amulets, cloaks, weapons and “all” (default). The Rare button on the left shows items in ascending or descending order of rarity. The details screen again gives an overview of the bonuses of your hero and his equipment, but this time lists them per unit in the game. From top to bottom are listed all units in all 5 Tiers, from left to right the percentages bonus to Attack, Life, Speed, and Load capacity. Numbers from the basic attributes seem to be rounded down percentage wise. The bar at the bottom of the Equipment home screen just shows all your items by default and is scrollable left to right. What it shows can be narrowed down in terms of item type by selecting an item type from the Inventory select menu (2.4). Important to note is that the space in the bar is limited. Although you won’t fill it easily, when you do, you can sell your (lowest level) equipment at your Forge (though for really crappy prices) to free up space. In future updates, you will be able to upgrade your Forge to house more items. 3. Where do you find this equipment? I have no doubt that for many sets, the methods available to acquire them will change over time. If im correct, the starter set “Miner’s” has been on sale a while ago in the shop, but can now be crafted in Sage tower with armor scraps. To get these scraps, just attack levels in Mirkwood campaign levels 3 and higher. Im not sure if they drop from every map or just boss levels, but the Mirkwood(4) boss drops 380 scraps when he drops (~15%-25% drop chance), and you need 1000 scraps for a Miner’s item. Note: with the introduction of gear upgrades, I’ve decided to name the bonus attributes based on their level, instead of base bonus %. So *1 to *4. For an explanation of what percentages bonus these tiers translate to at different levels, see this post. Below are newer sets that were introduced with or after the introduction of upgrading gear and unlockable bonus attributes. While the older sets above were usually based on a blueprint set like Pilfered or Prisoner’s, the newly introduced sets vary much more in their base defense and attack bonuses, making it more difficult to group them together. That said, the sets in general do range from very average to absolutely elite, and sport more varied, higher level bonus attributes in some cases. I’ve put the recently released hero specific gears here as they do not seem to be part of a full set. Basically, these are legendary items that can be bought in sage tower for Orc ears, which drop in temporary campaign maps and can be bought every now and then in chests. They can be wielded by any hero, but sometimes bestow specific heroes with extra bonuses. Right now, the bonuses seem to be increased TT march sizes only though. The first two buffs aren’t important, and the last two should have focused on either attack or defense with one being 4* preferably, but as this isn’t the case, do not use this. 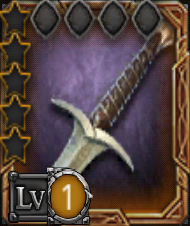 The upgraded Sting sword has 2400 base attack and 400 base life bonus, plus another 600 attack when wielded by Bilbo. Unfortunately, the 3 fixed bonus attributes are still mixed, so it will depend a lot on the fourth random attribute whether this will be of any use, BUT it is in fact better than standard Void pieces for defense, so if you roll a good life or attack debuff bonus, it could be a pretty good defensive piece. Like the upgraded Sting, a mixed set of bonus attributes make this Cloak dependent on the fourth random attribute to be really useful. It has 1400 attack and 400 life base stats, and receives another 300 attack and life from Bilbo. With a 4* random offensive buff it could outperform Necro gear in offensive terms. This means it is an excellent weapon for defense and CHS even, being almost similar to the Replenish weapon. 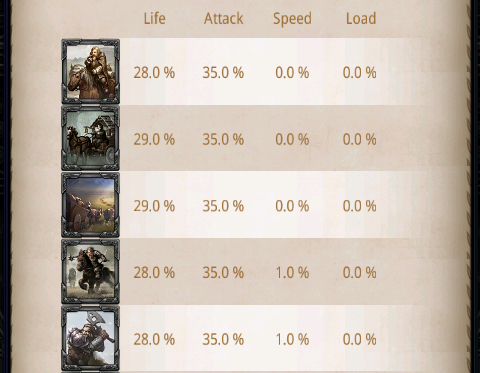 In terms of life buff the 3×3* buffs from the Axe are slightly better than the 3* and 4* from the Sword, by 1.3% or 2.3% with Beorn. 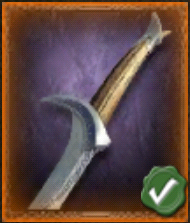 The Replenish sword however has a 1* and 2* attack buffs as well. The extra 4-5% base attack on the Axe almost negates the 1* buff from Replenish, leaving the Replenish sword with 10% more attack buff. With full high level CHS gear equipped, it is no surprise the difference is so small as to be almost unnoticable. Many people also suggest it is better for CHS than Replenish. Because it is defensively slightly better I am inclined to agree, but I have not yet tested the Axe to see if the difference in attack is more important. I suspect it is not. The level 1 Axe has 2400 attack and 400 base life bonus, with Beorn throwing in another 200 life and attack, plus 300 troop limit. 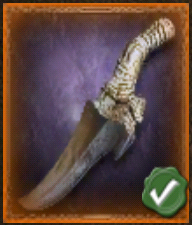 As with many other level 1 items such as Sting, the Axe 1 is split between offensive and defensive bonus attributes, but a good random one could make this a good weapon, most likely offensively. Making it a pretty sweet ring, and by some even suggested to be the best CHS ring at the moment. Whether that is true I cannot confirm. Again a great level I Legendary which performs even with the crappiest of random buffs! As I do not have the ring myself I do not know the bonus from Elrond, nor do I know how it performs, but my guess is that for CHS, the One Ring outperforms this one, while for attack the Necro ring seems better. Not 100% sure here though. A very rare piece of equipment, the Elrond Ring I is one of the best level 1 pieces of equipment seen so far. With the first 3 attributes all offensively specced, a good fourth attribute will make this the best offensive ring in the game atm. It comes with 1400 base attack and life, but I do not know the bonus from Elrond at this moment. Especially the last one is worth keeping in mind. 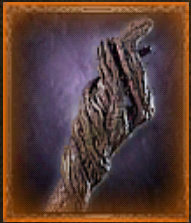 Although it would seem hard for this staff to outperform the Necro sword in attack, diminishing returns make this one of the best attack weapons to wield at the moment. The upgraded version of the Gandalf Staff. As expected, the base stats are upgraded to 2400 attack and 400 defense. Equipping it on Gandalf adds 1200 to march size. Additionally, it gains a fourth bonus attribute. Unfortunately, the staff I seems pretty crap unless by chance you get a good fourth attribute, but even then the upgrading seems not worth it, and we have to hope the level III and IV staffs are going to be better. So for robbing banks or moving about a lot of troops it’s handy, but it has no value in combat whatsoever. Similar to the Gandalf Staff I, the Cloak I seems to be a bank robbing piece only, discarding the only useful life debuff from the base staff for troop limit. 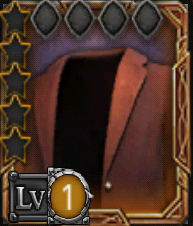 The Cloak I has 1400 base attack and life plus 1200 Troop limit from Gandalf. The new Radagast staff is an improvement from the standard staff, but still a far cry from a good piece of equipment. With 2400 base attack and 400 base life bonus, its base stats are pretty good. Radagast hands it another 200 attack and life, plus 400 troop limit. It has reasonable bonus attributes, both defensively and offensively, so once again, it will depend on the random attribute whether it will be usefull to you. 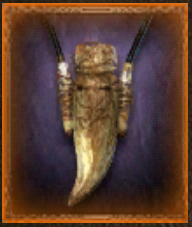 Again a great upgrade of an otherwise undecided gear item, the Tooth I is without doubt offensively specced. 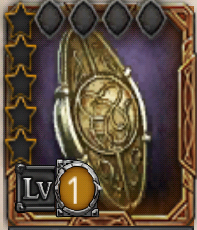 With 1400 base attack and life, even a crappy 4th random attribute makes this Amulet better than most and will surely replace Necro. Offensively it is identical to the Gandalf Staff, but defensively it is slightly better when fully upgraded, and especially so if in the hands of someone else than Gandalf. The first of the Smaug gear to receive a level I upgrade, the Claw I comes out as a pretty good offensive weapon. It has 2100(2500?) base attack and 100(500?) base life value, and wielded by Bard I gives it another 600 attack. Together with Thorin’s Oakenshield and the Replenishing shield one of the best Shields in game. At the moment one of the best, if not THE best offensive weapons in-game, and certainly in the hands of Thorin. Then again, the Gandalf staff is offensively comparable for a much lower prize. Hands down one of the best defensive weapon in the game at the time of introduction. What is especially cool is that it focuses on attack debuff and not on life, making it perfect in almost all defensive set-ups. Defensively, we have had to work with Life buffs for a long time, adding lesser Void pieces to the mix to overcome DR, and with Oakenshield 1, we yet again had a Life buff heavy piece, so the introduction of an (almost) all attack debuff piece is great news! With these stats it is one of the better defensive shields in-game, but also scores decent as an offensive choice. Following the Elrond Ring 1, the Oakenshield 1 seems to be another Legendary piece of gear which is top notch independent of the fourth random attribute. With 400 base attack and 3000 base life it already is a nice shield, but the three life buff bonus attributes make it ideal for any defensive set-up. Thorin adds another 600 Life. 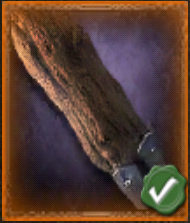 As said, useless for TK or campaign, but might have some use in farming banks. The upgraded Fur from Thorin continues the defensive theme of his other level I items and seems to make it really worthwhile to use Thorin as your defensive Hero, with a total of 18% Life bonus when equipping Orcrist I, Oakenshield I and the Fur I on Thorin, as the Fur also gives 600 Life bonus on top of the base 1400 Attack and March size. Portrayed as a more than capable fighter in the films, Tauriel’s Bow attempts to reflect this in the game. At the time of its introduction it was the strongest offensive weapon with ease. It abandons virtually all defensive options for a maximum punch. Making it offensively better compared to Orcrist, but at the cost of some defense. Another great level I Legendary, the Tauriel Bow I continues the offensive theme of the original bow and enhances it even further. With 2400 base attack and 400 base life this bow rivals other Legendary I gear, and Tauriel gives it another 600 attack. Making it a killer offensive weapon in and of itself, and really special when you get that last attribute correct! Bard the Bowman is an iconic character from the Hobbit book and films, in which he is portrayed by Luke Evans, and with the introduction of the human populated Lake-Town, he became a hero for that city. Along with his introduction was the introduction of special gear for him in the form of a seemingly complete set. This shield is one of the most powerful shields currently in the game, easily outclassing Necro gear. The Black Arrow I is the second Tier for this item and is signified by a star on its icon just like with legendary Heroes. It can be obtained in Sage tower by trading in normal Arrow and a Damaged Smaug Scale, farmed from the Lake-town campaign map. Now whether this Arrow I is any good depends on a lot of luck in getting a favorable fourth attribute. If it is Speed or Load or something like that it is pretty useless to most. The most hoped for random buffs are a 4* Life debuff or Attack to all, but these are very rare. This is also why you need to keep at least one normal Arrow for your attack Heroe(s) before sacrificing them all! Making it defensively similar to Replenish, but lacking the offensive capabilities of that set. A purple set that drops from extraordinary caves and premium on very rare occasions. This set is marked by great base stats coupled with horrible attributes, just like the Scorched set. Base stats are 2000/400 for weapon and shield and 1200/1200 for the other pieces. Replenishing is a great defensive set that has been released just now (aug 2014), by far the best in defensive stats right now for TKing and campaigning. It has four very useful bonus stats. The first and second attributes are a 1* and 2* attack bonus to ALL your troops. The third and fourth stat make it really worthwhile in defending: a 3* and 4* life bonus to ALL troop life. If you can get your hands on this set, be sure to upgrade and equip it! The Necromantic set is the offensive equivalent of the Replenishing set, with four great offensive bonus attributes. Unfortunately, this set is also difficult to come by still, but if you can get it, it is the best for attacking right now! The first two attributes are a 1* and 2* attack debuff for ALL enemy troops. That’s great, but even better are the third and fourth attributes: 3* and 4* life debuffs to ALL enemy troops. Once again, the best offensive set available as of now! The Victory set is an extremely rare set only bestowed upon a few. It could be won in the first season of the “TK/tournament” server 200. This is a temporary server with different rules, such as not being able to hide your troops and constant back-to-back tournaments. Don’t know the exact rules, but I believe the best alliance at the end of the season got this set as a reward. It has the same base stats as the Arcane set (45% att/36% life) and 4 bonus attributes. Unlike most other sets, the attributes vary wildly between pieces, and since I have seen only one set, I cannot tell if and which attributes may be random. To keep things clear I’ve put the individual bonuses beneath each piece. Lastly, the set in itself is not THAT exceptional, but due to diminishing returns from other sets it can be worthwhile to equip in combination with other top sets for best results. Making it really mediocre and unsuited for attacking with the ratio friendly T1 troops or TT, but T3 is ok as well for ratios. It has the looks of the Marksman/Guardian set. As far as I can see a great set in base stats with 4 bonus attributes and the look of the Void and Arcane set. Unfortunately, I know little about the complete set, and have only recently seen the second item: the cloak. The set has great base stats, on par with Replenishing, Necromantic and Void gear, i.e. 1600/400 weapon and shield, and 1000/1000 rest. The Mystic King set is a very offensive oriented set, which lacks perhaps a bit in its base stats, but more than makes up for it with its bonus attributes. It has three similar bonus attributes: A 1*, 2* and 3* life debuff to ALL enemy troops. Although there is some discussion on this point, it seems the King’s gear outweighs the Wartorn gear for attacking, so if you have King’s, equip it when you do not have Necromonger gear. Assuming you do not fight with T4 or T5, this means the Shield is an OFFENSIVE gear item, while the Sword, Amulet, Cloak and Ring are DEFENSIVE gear items! The Avari set is a top tier set with higher base stats compared to Pilfered (45% attack and 36% defense) with 3 bonus attributes. The set is aimed at Tier 5 units and crippling your enemy armies. The first attribute is a *1 bonus to T5 attack (1%-5%). The second is a *2 bonus to T5 life (2%-9.6%). The third attribute is a *2 debuff on a Tier of enemy troops’ life. The bonus seems random ( I have T3 amulet, T5 ring and T2 cloak), but it could also be that, similar to Wartorn Champion’s, each set item focuses on a specific fixed Tier. The Eldar is another high end gear set, which looks like a slightly lesser version of Avari for T4 (Eldar has 40% base attack, 32% base defense). The three bonus attributes mimic the Avari set bonuses pretty closely. The first attribute is a *1 bonus to T4 attack. The second is a *2 bonus to T4 life. The third attribute is a *1 debuff to enemy Tactical troops’ life. This makes the set useful for attacking open cities that have a lot of Tactical troops, and in fact I have seen this set attacking with an army of woodmen to quite some devastating results. The Axe/Archer set is a Pilfered level (35% attack, 28% defense) gear set with 3 bonus attributes, but sporting the Prisoner’s graphics. Nothing special to really mention about this set, it is frequently won in Alliance Boss chests. I advise to only use these for upgrading other gear. The 3 bonus attributes seem to be random, ranging from *1 to *3 and varying in effect, but it do appears as if each gear item has an affection for a certain type of bonus. The Sword seems to focus on attack and speed, the shield on life and load, the amulet on speed, the ring on load, and the cloak on march size, with the second attribute looking more random. This set has quickly grown to be a favorite among TK’ers, due to its high attack oriented bonus attributes, of which this set has no less than 4. This makes up for the somewhat lower base stats, which might give the false impression this set is of average quality. Base stats are 30% attack and 24% defense, identical to Prisoner’s. So for example, the WTC ring buffs T2, T3 and T4 ranged troops’ attack. The fourth and last bonus attribute is also the best: a *2 attack bonus to ALL your troops. This is why this set is popular among TK minded people. 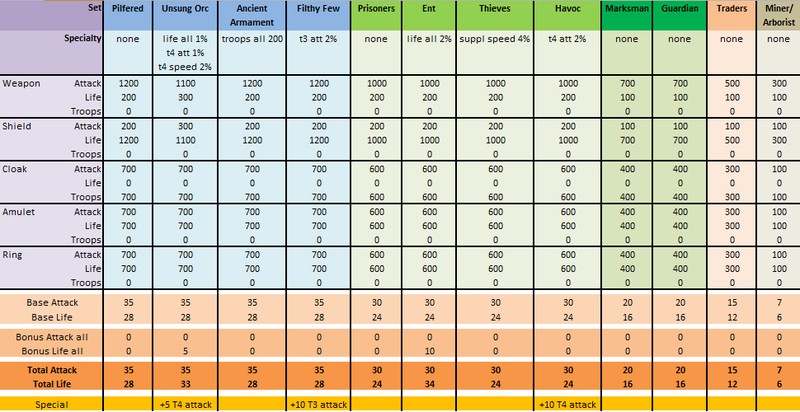 Great overall attack bonuses (be sure to upgrade your gear though) and nice additional bonuses for mixed armies. Especially Tier 3 and 4 benefit twice from this set, and make Filthy and Havoc sets redundant. The Nomad set was introduced a while ago during a special Campaign event, in the temporarily available Nomad map. The set’s 3 bonus attributes greatly improve your supply troops in their daily business of farming, and only that. It quite simply is a major upgrade from Thieves gear in term of attributes. Base stats are identical to Prisoner’s/Thieves: 30% attack and 24% defense. The first bonus attributes is a *3 bonus to march size for all troops. The second is a *3 bonus to Supply troop speed, which is basically all you get from Thieves. The third attribute is a *3 to Supply troop load. Important to note is that I haven’t heard whether this set shares the same attribute as Thieves in that gold can be taken without needing to send fighting troops. Like with Thieves, the Supply troop speed bonus seems partially useless if they’re needed, so I suspect it also applies to Nomad’s. The Artisan’s set is another really average set, sitting between Prisoner’s and Marksman in terms of base stats (25% attack, 20% defense). It has 2 semi-random bonus attributes. Like Archer’s/Axe Thrower’s, one of the attributes always seems to be attack for sword, life for shield, speed for amulet, load for ring and marching size for cloak, while the second is more random. Use this set only for upgrading other gear, or sell for storage room. This is the set (or part of it) with which equipment upgrading was introduced, namely with the amulet: the Annihilation amulet. I destroyed it a long time ago, so do not know what the stats are, but suffice to say, other sets are far better at the moment. The ring I haven’t seen yet, but both items are for sale in the alliance shop for over 15000 points, so please do not bother. These are were the top sets before the introduction of upgrading gear. They share in common (mostly) the same base stats as the Pilfered set, which drops from Smaug. In-game graphics also match (mostly). The Pilfered set is the original top set that dropped from Smaug from the moment gear was introduced. It has a base 35% attack and 28% life bonus. For a long time, this has been the best set to have, but since a while, other sets have appeared that are more suited to specific tasks (such as Ent for campaigning). Because the set, together worth the Prisoners set, is relatively easy to come by -simply by farming Smaug long enough- this is still the default set for many players. It has two bonus attributes, which are random. The Ancient Armament set is a good sister set to the Pilfered set. Identical in stats, this set is geared towards increased army sizes: Each piece adds 200 points (2x *1) to possible marching size. I do not know whether this means 200 troops or translates to 2% increase per piece, as I do not use this set myself (but I suspect the latter). The Filthy_Few set was created in light of the cross-world tournaments a while back, which the Filthy_Few alliance won. Again similar to the Pilfered set, this set is geared towards Tier 3 attack. Each piece has two *1 bonus attack to Tier 3. This set was just recently released during the Easter campaign event. It could be traded in Sage Tower for eggs/bunnies, and can be found since in premium sales. Although it is very similar in base stats to Pilfered, it slightly different, making it’s stats unique. Where the Pilfered sword has 12% attack and 2% life bonus, the Orc sword has 11% attack and 3% life bonus. The same change can be seen in the Shield attack and life bonuses. The cloak, ring and amulet are identical however. Curiously, the in-game graphics are different from other Pilfered based sets, matching the Prisoners set graphics instead. What makes this set really interesting though are its bonus attributes. It is the only set so far which has 3 bonus attributes, and they are fixed. Each piece gives *1 life to all, *1 attack to Tier 4, and *2 speed to Tier 4. This made the set really powerful and very useful for campaigning, replacing the Ent set as preferred equipment. This is because of the higher base stats of the set, which basically means the 1% life bonus per piece is is enough to offset the 2% bonus per piece form Ent gear. Only the cloak is 1% worse. With the introduction of gear upgrading, the balance has shifted once again. These sets are based on the Prisoners set. They are still pretty good, and serve some good purposes, but with the Unsung Orc set introduced, the Pilfered based sets are slightly better. The Prisoners set is the second set that drops from Smaug. The set has, similar to the Pilfered set, 2 random bonus attributes. The bonus per set piece differ from Pilfered 0-2%, which brings the total base stats for this set at 30% attack bonus and 24% life bonus. The Ent set has long been THE set to do campaigning with. This is due to the 2% (2x 1*) life bonus each piece gives your troops (10% base total), which helps lowering deaths in attacking Goblins, which in turn increases your campaign high scores. Only the shield of the set was not worth swapping, as the Pilfered shield has the same base life bonus, but slightly higher attack. The Havoc set was introduced some time ago. It’s two bonus attributes are fixed, and aimed at increasing Tier 4 attack. With 2% (2x *1) attack per piece, it brings Tier 4 attack bonus to 40% at gear level 1. Although this bonus is pretty sweet, attacking with Tier 4 gives bad ratios in general, so I am not sure how useful the set actually is, but when attacking large armies with Tier 4 units, be sure to equip it! Additionally, the Unsung Orc set is better than Havoc in every aspect, so if you have Orc gear, don’t even bother with Havoc anymore. Curiously, there are two versions of the Havoc set. One version, which I believe to be older, has slightly lower base stats (e.g. weapon has 9% attack instead of 10%), while the other has the ‘normal’ Prisoner’s base stats. The Thieves gear is another Prisoner’s based set, which specializes at improving resource farming. It does this by providing 4% (2x *2) speed bonus to all supply troops per piece, totaling 20% speed increase. Attack and defense wise it is reasonable, but nothing spectacular, like most Prisoner based sets. One interesting rumor about this set is that it allows you to take someone’s gold, without the need for sending extra fighting troops, which you would normally need to ‘breach’ a wall. This seems logical, as the supply troops speed bonus would be wasted otherwise, but I do not know for sure if this is the case. Below are other sets, which are available in-game, but inferior to Prisoner or Pilfered based sets. Basically, these should only be used when you have no other option, and since not attacking or opening is always an option, don’t. Sell these sets if you need room in your Forge for more equipment, but don’t sell all of it, because these might be needed to craft or forge better equipment in future updates. The Marksman set is a medium set of gear. It has one random attribute per gear piece. The base stats of the set are 20% attack bonus and 16% life bonus. Nothing special really. The Guardian set has been with us for a while, and is identical to the Marksman set, with 20% attack and 16% life basic stats, plus 1 random bonus attribute per gear piece. The Trader’s set is the second lowest set I have seen in the game so far. Might have been useful at the introduction of gear, but no more. Basic stats of 15% attack and 12% life bonus, plus 1 random attribute per gear piece. The Miner’s and Arborist sets are the lowest and most worthless sets in the game. As the basic gear set, they can be exchanged in the Sage Tower for armor scraps which can be found in campaign. They sport a wooping 7% base attack and 6% base life bonus, with no or 1 bonus attributes. The Images below show the sets I have side by side and their stats from in-game as well as in excel. I will update these as more sets become available. Additionally, the latest game-update mentions the addition of more sets, and craftable and up-gradable gear, so stay tuned for more info on this as well! 4.5 What’s the best set right now? This question has been handled in other articles. Please see this article for the best current sets, and this article on when to use what gear. More sets and items, obviously. Perhaps sets that consist of fewer items, such as a weapon/shield set. Set bonuses. Bonuses dependent on how many items of a set you have equiped. Worked great in for example Diablo, and really makes you wanna complete sets. More diversity in set attributes. Right now, the set attribute relations are basically all the same, with one set just being better than the other. What I would like to see is more specialized sets, such as one focusing only on extra attack with little extra life, or one “defense” set which gives great life bonus but less attack. The current sets are too all-round and offer no real choice. Perhaps a bonus specific to a certain Hero as well? Well that’s it for now. As new items will undoubtedly be added very soon, I will try to update this article as soon as something comes out. Have fun people! This entry was posted in Articles, General, War and troops and tagged adorned, alliance warrior, ancient armament, annihilation, arborist, archer, armor scraps, artisan, asylum, attack, avari, axe thrower, bane of melkor, bark of the ents, beheader, black death, blossom of the ents, bow, buckler of thieves, buff, campaign, cape from the war of wrath, chain, chain of the void, chasm, circle, cursed, dagnir, debuff, defender of the ainulindale, disguise of havoc, eldar, ent, equipment, farming, filthy_few, fine valar necklace, force of havoc, forge, fully loaded, Gandalf, gandalf cloak, gandalf staff, glint, gown, Great hall, guard, guardian, havoc, Hero, hero equipment, item bonus, item set, king, kingdoms of middle earth, KoM, lace, leaf of the ents, leech, legendary, lieutenants, life, load capacity, lucky charm, mantle of the unseen, mark, mark of the void, marksman, medal, mine, miners, mirkwood, mystic, necromonger, night stalker, nightstalker, nomad rider, oakenshield, one ring, orc gear, orcrist, peak, pendant, pilfered, possession of havoc, prisoners, protection of havoc, protector, radagast staff, replenishing, retribution, sabre, sage tower, sanctuary, Saruman, server 200, set, shadestone circlet, shapeshifter, shelter, shine, shop, shroud, sigil of melkor's guardian, silent night sword, slicer of the ents, Smaug, smaug claw, smaug scale, Smaug's claw, smaug's scale, Speed, spirit, targe, tauriel, thand, thieves, thorin, tower, trader, train with gandalf, unsung orc, upgrading gear, vanity of havoc, veil, victory gear, void, wartorn, wartorn champion, watcher, well, worst ally ever, wreath of the ents by beardmonkey. Bookmark the permalink. Someone in my Alli got some legendary gear II today and found that they all have only 3 attributes now. No random last attribute. The picture shows only 3 circle on top of the item photo frame. Looks like they fixed it now, but surprisingly, everyone I know who had the error forth attribute issue fixed got their last attribute back to be a perfect one!!!! I am sad I did not get the missing last attribute Leg II gears. I have a question: how do the various buffs/debuffs add up? All of this both of you and the enemy. I ask this because I would like to understand, for example, the meaning of having 3 artifacts with -36% attack debuff for enemy. A hero with such artifacts shows up in the details tab like having -108% attack debuff for enemy, so like the SUM UP. Because in this way the attack would go to 0 as soon as you reach YOUR ATTACCK DEBUFF = 100%. because weak enemies (or players withour a garrisones hero for example) would have HIS ATTACCK BUFF = 0 and then the enemy attack would still go to 0 as you reach YOUR ATTACCK DEBUFF = 100%. So, what is the significance of such high attack debuffs (and life debuffs too)? it is known/understood how the damage/kills are calculated? That corresponds to a total life debuff of 0.74. Usually debuffs were added in this way because in this way the total effective debuff can never exceed (or reach) 100%. When upgrading legendary gear with the damaged scale does the gear reset to level 1 with all of the additional attributes locked or do you keep your upgrades and enhancements? Enhancements, upgrades and embed slots all get reset. Haven’t tried to see what happens if you even leave a gem embedded – would advise against doing that. Fantastic site, and very helpful. 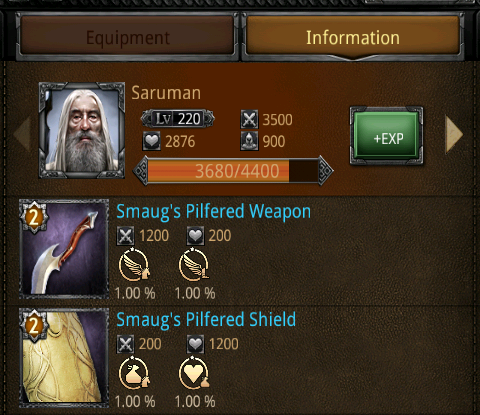 Just wanted to let you know that the One Ring is actually part of Bilbo’s gear, the One Ring I gets extra base stats when wielded by Bilbo. One Ring 1 and Smaug Scale 1 available. One Ring 1 is the best defensive ring. Smaug Scale 1 has the same number of bonus that Bard Black Arrow 1. New pieces released: Thorin’s Fur I, Tauriel’s Bow I, Smaug’s Claw I. 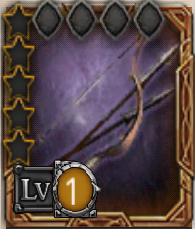 For the Bow, the specs are at community.kabam.com/forums/showthread.php?437829-Middle-earth-Legendary-Gear-Stats&p=2172586 . The Claw is as follows (from in-game mail yesterday): base 2100 attack/100 life, -foe life 2%, -foe life 4%, +attack 8%, random fourth. No idea about the Fur specs. 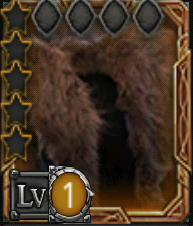 Thorin`s Fur I is the best defensive cloak. 2 life buff, 1 attack debuff and 1 random buff/debuff. how exactly is void gear attained? I seem to notice that tons of people have it on my server, but I don’t. Actually it can still be won from the 4-token Premium, best chances being from the Mysterious Might chest. It’s a rare drop though. Only once I have also had one piece dropping from some other chest. I’m curious as to the prizes of Premium when there is no special offer – i.e. the 6-token one. I clicked only once by mistake recently, and got some prize that looked like a fossil. Maybe it still features frequently there. I have got void recently from that chest. Over the past 2 4 token premiums I got a full set with hardly any tokens. But is it now being edged out by legendary gear I anyway now? My guess is it will be pushed out of the top gear position anyway. fantastic compilation with all the new gear! well done!! just one small nit pick – barks bow doesnt give any bonus attack when equipped by bard, unless it is a hidden stat buff. i dont know about *4 but i got a *3 life debuff for all as fourth att.so its out there somewhere. Hi! First of all thanks for the humongous amount of work you put on this blog. It saved me many a times during my noob days. Now, have any of you tested Black Arrow and Tauriel’s bow in tk’s together? Since the bow is a weapon and the arrow behaves like an offensive shield. Any thoughts on that? This is a great summary for all the gear! How does Sting compare to the other legendary weapons? hey! really love the site, its the best KOM resource ive found by far. that being said, i dont wanna bust your balls….but when do you think you’ll add stuff like thorins fur or sting? Yes. Same my gear’s Bard. It’s a mistake! I was using Smaugs Tooth for enhancing gear since i had so many Orc Ears and it was only 100. I dont know how many i traded in for in total (20?) but apparently, there is a cap. Even though i have the Orc Ears, i can no longer make a Smaugs Tooth…be careful. Hi. just picked up a Smaugs Scorced Amulet, looks like its attacking as bonuses are speed and debuff. Looks like Necro is still better …. any info on it please? yeah I noticed I didnt put the SMaug gear in yet….but its not that great. Although some item will have better chance at some buffs, such as weapons usually having attack bonuses, the 4 Scorched attributes are random, so not much to add there. But for completeness Ill add them soon, so thanks! I picked up a cloak too, all speed bonuses so I binned it. About 1 in 20 seem to have a all troop *1 debuff. Hi, what is the reason I don’t see half of the legendary equipment in my sage tower?! Does it depend on the world I’m on? It’s weird! Today smaug’s scale. But still missing all the Thorin’s gear. What are those four stars on the legendary equipments? It´s not the embedded gems nor the unlocked attributes. On the equipment icon there are four stars to the left. I thought they would be activated if equipped by a legendary hero but I equipped the smaug´s claw on my gandalf level two and didn´t see anything different. Its to do with the upgrades to Hero’s, the Books of… from the Sage Tower I think…. NEWer Smaug and the Lie that is Kabam! We get the same exact dish as before with a bit of food coloring. New presentation same drop rates…. but they say 100% drop rate technically it is… but it isn’t! In reality its all a sham. Please post this on your site… the public must know! if giving credit please use the name ScreamSilence thanks ^-^! Cursed Watcher’s set is a defensive set. Fourth bonus is 2* Attack DEBUFF to all. 1) 1* Attack or Speed to specific troop(s). Annihilation Amulet stats are 130 lvl hero, 500 atk 500 life 0 other. 3 attributes, -foe LF 1% (vs T1s), -foe LF 1% (vs T1s), -foe LF 1% (vs ALL). -3% total if vs only T1s, or can upgrade for more on the third attribute. Basically for low level fighting or hitting goblins/campaigns with lots of T1s for the debuffs. Same pic as the Amulet of the Elven Elder. My Smaug’s Claw needs hero 200, gives only 1600 life in the shield slot. TL 4%, TS 4%, TA 4%, and TL 8% at first level. Pic is shaped a lot like a dragon’s fingernail, not so much a scale. I was looking for info on Bilbo’s new gear. Beorns Axe is nasty beware of its swing . 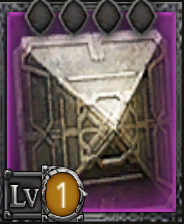 In g148 I’ve recently won (G tokens) a Warrior’s Chest that gave me a Warrior’s Ring (not listed here). 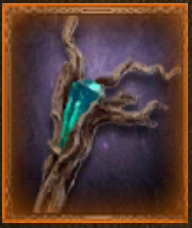 It is a blue item, requires lvl 130, gives 500 atk, 500 health, 0 other. 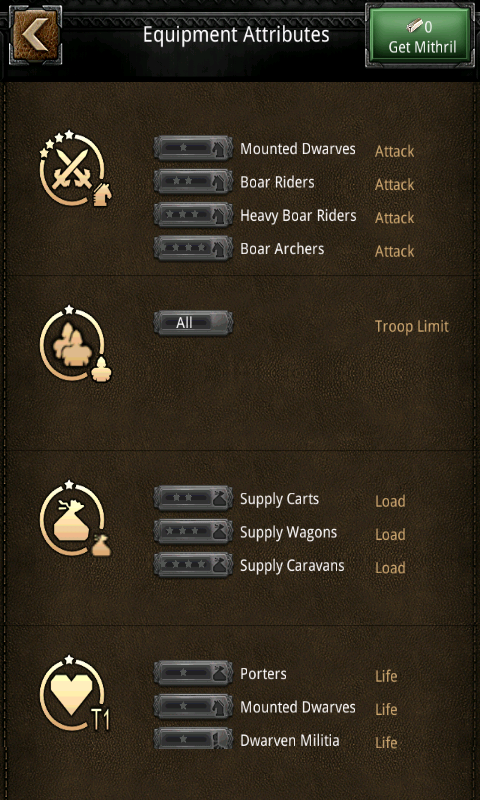 The x4 unlockable buffs appear random, but mine at lvl 1 are Load 1% for T5 (Riders of Rivendell for mine), Load 2% for T1 (ElvenArchers for mine), Load 2% for T5 (Gal Archers for mine), and Load 2% for T3 (Ents for mine) in that order. 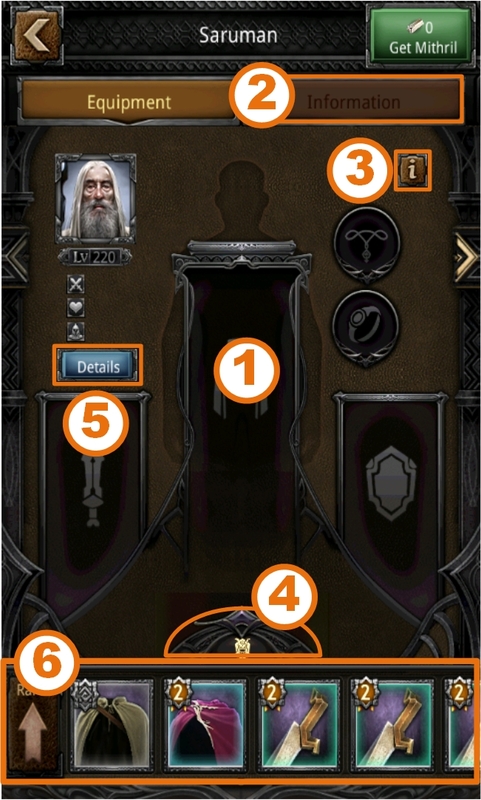 Ring design graphic is identical to Ring of the Elven Elder. The warrior ring that u get from warrior commendation chest is different from the retribution ring u get from shop. you can get the ring from azog or 180 boss.Its crappy just has load and speed attributes . The retribution ring from shop has three bonus attributes .attack debuff to t1/ attack debuff on t1 and attack debuff to all. agreed, but nonetheless, am I correct in them not being worthwhile mentioning anymore with the other gear? Hey, I noticed you put the filthy few gear on this, and just wanted to let you know their is a Nightstalkers set from the alliance “Nightstalkers” and its an all t1 offensive gear. Its a really good set for TKs. Just thought it would be something to mention to you guys. Email me if you want the stats and attributes. could you send the details to beardmonkeyblog@gmail.com? Hi. Any Idea when we can expect info on all the new gear. Like the Radagast and Gandalf Staff, Smaug Scale, Lieutenant’s Weapon ext. Rad and Gand staff are already mentioned, rest will be updated shortly! I also found a Cursed Watcher’s Shiv from the goblin caverns. 700 attack, 100 life. 2% life (sup wags, ents, bat rams, m. gladhrim), 2% life (sup car, eagles, mith guards, galadrim lancers), 2% life (el rangers, riders of riven, galadrim archers, sup columns) & 2% -foe attack (all troops). Green color & req hero 60. Hi. Is this a Sword? 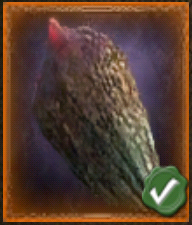 The Gandalf staff has had ok results with attacking instead of the necro sword but my Gandalf is not in my troop city so I have not tested it with attacking or campaign yet. I am the Regent of Savage Wolves on Linor149, and all SW alliances across the servers report to me. FYI. 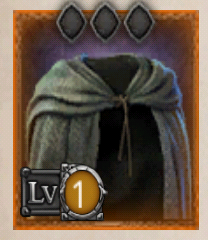 Gandalfs Cloak third attribute is 8% before Upgrading it. Which beats the 10% of Leaf of the Ents fully upgraded to pieces. Email if you want. I’ve work out a few number that last I saw you still didn’t have figured out. Not exactly sure what you are talking about? The cloak is already covered, and other new equipment will be added soon as well. all of my heroes lost all of their equipment…how did that happen? With the goblin caverns, there are some new drops. The base stats are 1700 attack and 100 life (unenhanced). The additional attributes are 1% attack, 1% attack, 4% attack and 8% attack. Unfortunately, the attack buffs are not for all, and are random on which types of troops the bonuses apply. There is also a cloak, but I have not gotten it yet. Any idea what this SET IS – rapier of superiority, mantel of deceit, strand of envy, shard of opulence, mark of arrogance? 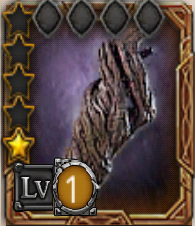 With the addition of Radagast’s and Gandalf’s staves, and the addition bonuses they gain when used by the respective hero, would it be beneficial to gear them up for attack/defending vs other players or just basic gearing them for use in campaign, taking advantage of the cadre of tactical troops they obtain when leveled using the hero books to level them up? If you could visit middle earth? Where would you visit?